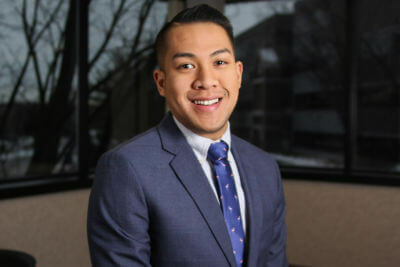 A newcomer in insurance, Boranny has developed and refined his exceptional client service repertoire through his background in retail and hospitality. Prior to joining EHD in 2016, Boranny worked as a Sales Associate at Michael Kors, as well as a Bartender for Thyme & Seasons Catering. A lifelong native of Lancaster, Boranny graduated from Franklin & Marshall College in 2016 with a Bachelor of Arts Degree in Psychology and a minor in Art History. Boranny’s eagerness and enthusiasm for knowledge motivates his desire for dynamic growth within the insurance industry and as part of EHD. Outside of his professional career, Boranny finds passion in venturing the outdoors. He loves exploring new hiking and kayaking trails, and in the winter he loves to ski.